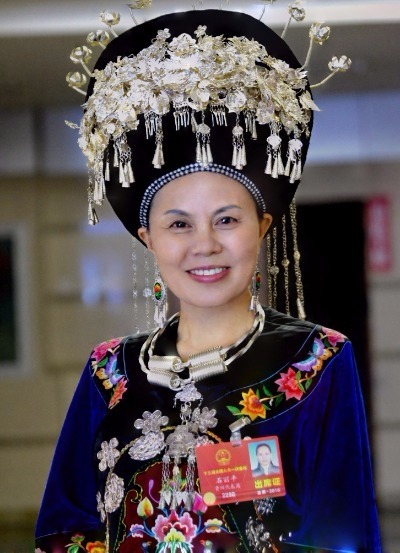 Shi Liping is elected as a deputy to the 13th National People's Congress for promoting Miao embroidery. 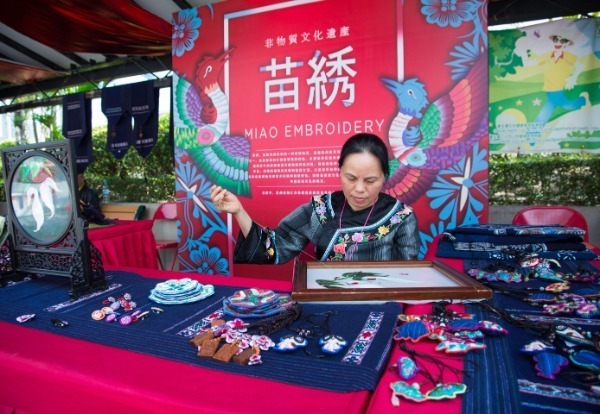 A Miao woman, a deputy to the 13th National People's Congress, uses embroidery to empower her people, Cheng Yuezhu reports in Beijing and Yang Jun in Guiyang. For the past decade, Shi Liping has devoted herself to Miao embroidery, something that not only preserves the local people's cultural inheritance, but also contributes greatly to poverty alleviation efforts. This is because works featuring the Miao embroidery of Songtao county, which was once hidden deep in the mountains, are now among the gifts presented by the United Nations and China's Ministry of Foreign Affairs. Shi, who was born in 1966 in the Songtao Miao autonomous county of Guizhou province, was exposed to Miao embroidery from an early age, like every other Miao girl. According to Shi, traditionally Miao girls learn how to embroider from female family members from as early as the age of 5. And they start embroidering full-time from 12, making clothes, shoes and bed linen for their dowry when they get married. A piece from her "dove flower" collection which is selected as an official gift by the United Nations. But Shi says with the development of society and the economy, a growing number of young people are leaving their villages to find work in the cities, and hence the craft is slowly dying out. 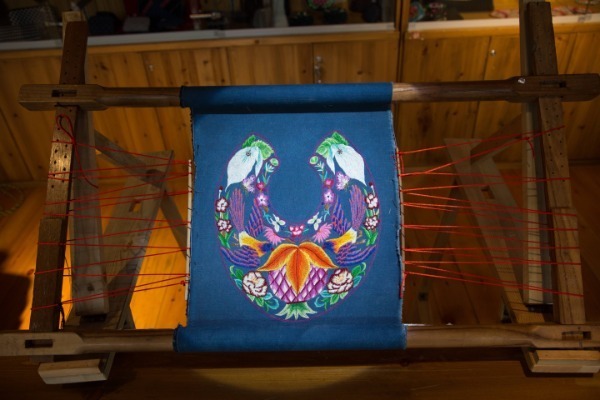 So, with the aim of promoting Miao embroidery, Shi visited almost all of the Miao villages, recorded their local embroidery techniques, and traveled around the country to learn other embroidery styles. Then, after eight years of preparation, Shi founded a company, Fanjingshan Miao Culture Tourism Product Development, in 2008. "At the start, the company had only three needleworkers", says Shi. "And as all of our products are handmade, a single product could take us as long as two months." Now, the company has a team of approximately 260 professional needleworkers, and Shi works with art universities and fashion companies to innovate. Shi works on a piece of Miao embroidery. 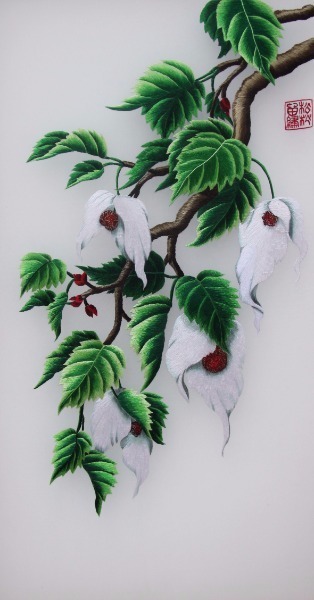 Shi also includes elements from Guizhou culture into her embroidery collections－from flowers and landscapes to dance and folklore－making products both for everyday use and ornamental purposes. Speaking about her scented sachets, Shi says: "We not only used Miao embroidery techniques, but also Guizhou's Yazhou pottery for the beads, and Miao herbal medicine for the filling. The flower embroidered is camellia, known in our region as the flower of happiness". In 2011, her "flower drum" collection, which depicts Miao folk dancing, was selected by the Ministry of Foreign Affairs as an official gift. And her "dove flower" collection was selected as an official gift by the United Nations in 2013. Also, after continued efforts by Shi, "Songtao Miao Embroidery" was accredited with a geographical indication in 2015, marking this regional craft as a representative of Guizhou culture.